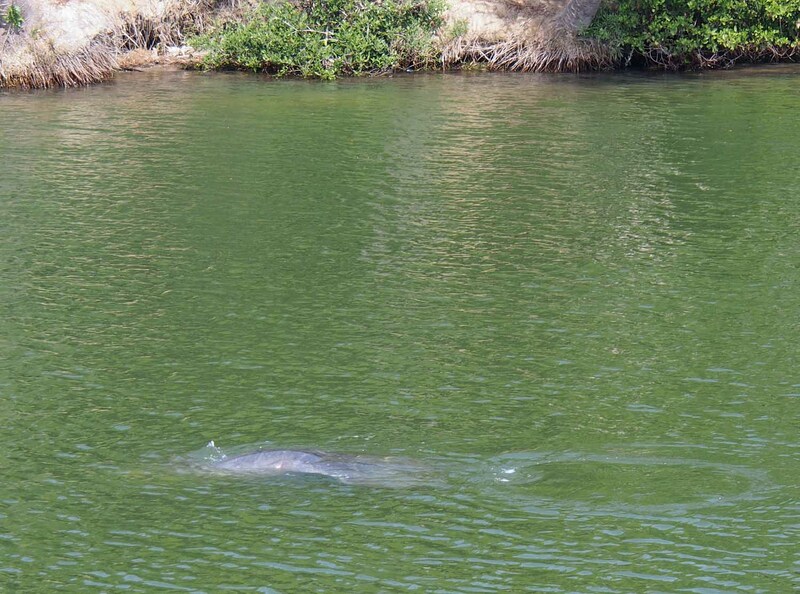 Manatees were migrating through the Haulover channel. 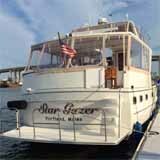 We are at New Smyrna Beach City Marina, with our bow facing and just a few feet from Pelican Island. You can see it in the last picture of a previous post. We’re waiting a day here at mm (mile marker) 846 while we wait for a big storm to pass over. We left to come here from Cocoa Village Marina at 8, planning to continue on to a 3 day stay at a mooring ball just off the old part of St Augustine, FL at mm 778. Since the forecast for the next day (Friday) was heavy rain for most of the day we decided to sit tight and leave on Saturday when the weather is predicted to be dry if cold with a high of 68. Nice that our below drive station is working now. 68 miles is on the high end of a day’s trip for us so we’ll get up at 6 and be underway by 7. We should get there by about 3 PM. Since the ICW is marked in miles, and it seems everyone else not on the high seas uses miles, I reset the boat’s electronics to use them instead of knots. We had a great day getting to here. We went through a quarter mile channel for the Haulover Canal bridge at idle speed because Freedom, the boat ahead of us radioed that a number of manatees were present. They don’t seem bright enough to avoid fast moving boats and their propellers. The autopilot kept the boat in the channel while we talked to a number of people fishing in small boats and on the bank. We got a good view of a few manatees but were late with the camera. I got one as it went back down. We’ve seen them before coming up briefly to get a breath in marinas. I’ve heard what I’m pretty sure are big splashes from manatee tail and their breathing when down on the swim platform at a marina. Bottom part of a manatee back. Tail to right. Before we got to that channel my depth alarm (under 6 feet of water) went off. We appeared to be in the middle of the channel so I asked Freedom and found they were reading about 12 feet as expected. Bama Dream behind us said the same. Since we were having a sounder problem I was able to switch on an alternate pair of sounders we have, and they read the same 11 – 12 feet. A call to Greg and we reset the depth system at least for awhile. Apparently another reason for that software update to our MFD’s. I was especially annoyed by the depth alarm when it kept coming back on superimposed in the center of my two rear camera displays while backing into our slip here. That motivated me to turn off the depth alarm until we can get this fixed. The weather was very pleasant but it did get a bit warm by the last part of the trip. Sue took issue with me taking my shirt off while driving. From the outside the low wall around the fly bridge blocks view of us from the waist down. She thought since they could not see below people might assume I was wearing nothing at all. Although I hadn’t thought of it till then, I could see someone driving that way on the open ocean many miles from anywhere. We finally settled on putting on a shirt when passing houses and populated areas. Maybe also when passing another boat unless a man without a shirt is driving. Great seeing you on the move. Best to you and Sue! I’m not up on lingo either. I since found they are called “mooring balls”. Also, it is a mooring field, not and anchor field. Anchor is when I use my own anchor, not tie onto someone else’s.